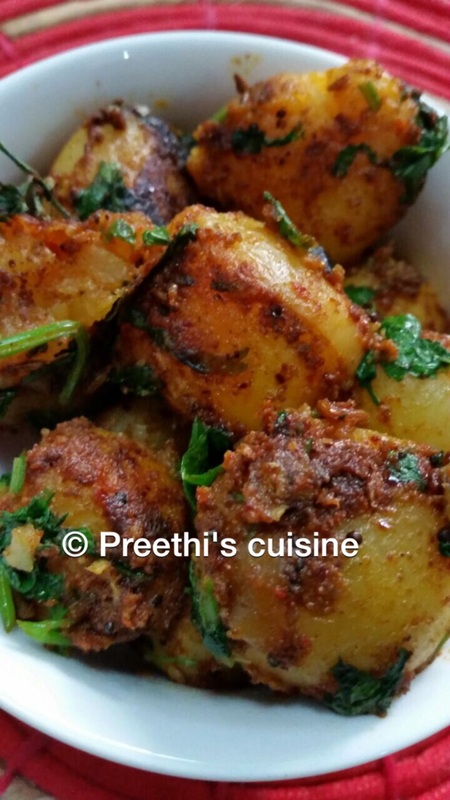 Boil 10 to 12 baby potatoes.Marinate with 1 tsp rasam powder,1 tsp garam masala and 1/2 tsp chaat masala for 30 mins. Heat 2 tsp of oil in a pan.Add jeera ,haldi and chilli powder and saute for 2 seconds.Add the marinated potatoes and roast for 15 mins.Add salt to taste and chopped corriander.Mix well and switch off the stove. 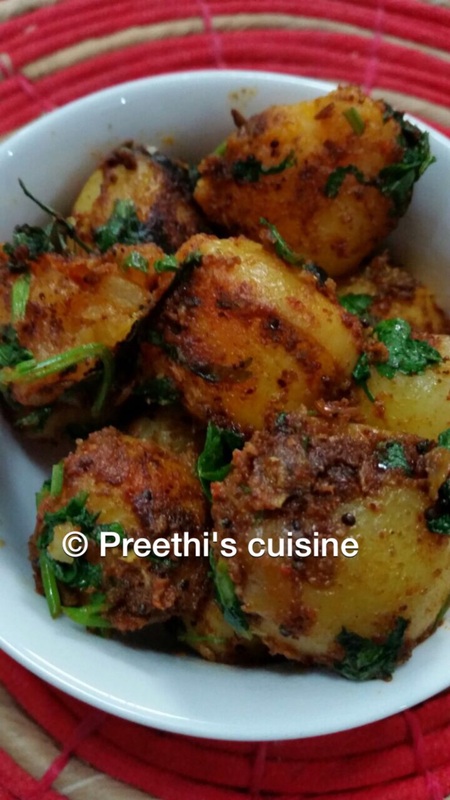 Serve hot with Roti or phulkas.Goes well with Rice too.